Offering you a complete choice of products which include industrial gases, automatic industrial oxygen gas cylinder filling plant and nitrogen gass. We offer a wide range of Industrial Gases, that are used in varied industrial applications. Our range encompasses oxygen, hydrogen, nitrogen, argon, oxide, carbon monoxide, helium, compressed air, medical oxygen and much more. Procured from reliable manufacturers, these industrial gases are known for their purity and are in adherence with prevalent industrial standards. 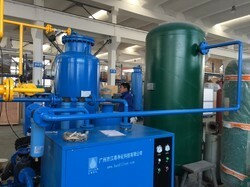 Cryogas Equipment Group established in 2009 is a Certified Company that exports to more then 45 countries. Cryogas Equipment Private Limited supplied Cryogenic Products and Services for Glass Manufacturing Plant, Refineries, Steel Plant, Air Separation Unit, Gas Filling Station, Pharmaceutical industries like Arab Industrial Gasses, Obekian Glass, IOCL Refinery, Shell, Gail the List is ever Growing. We are one of the best player in cryogenic and gas industry with all technical knowledge and manufacturing facility. 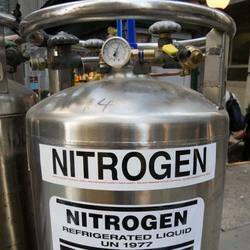 We offer a wide range of Nitrogen Gass. We provide high-quality products to our clients.